WOW!! This Spacious Townhome has 2140 sq. ft. arranged in a 3 bedroom 3 bath split plan with oversized garage that easily can accommodate 2 cars, a truck or boat. This is a well taken care of one owner home with loads of upgrades made during construction. The main floor offers a beautiful spacious kitchen with upgraded solid wood cabinetry, solid surface counter tops with high-end stainless steel appliances, a bedroom and full bath, a living dining room with corner wood burning fireplace and glass French doors to a screened lanai overlooking the pool with a circular staircase to the ground level. The beautiful hardwoods compliment the staircases to both levels where you have two additional bedroom / bath suites and a master Jacuzzi tub & shower, walk in closets and a screened lanai overlooking the pool. There is an abundance of closet and storage space throughout and inside laundry. 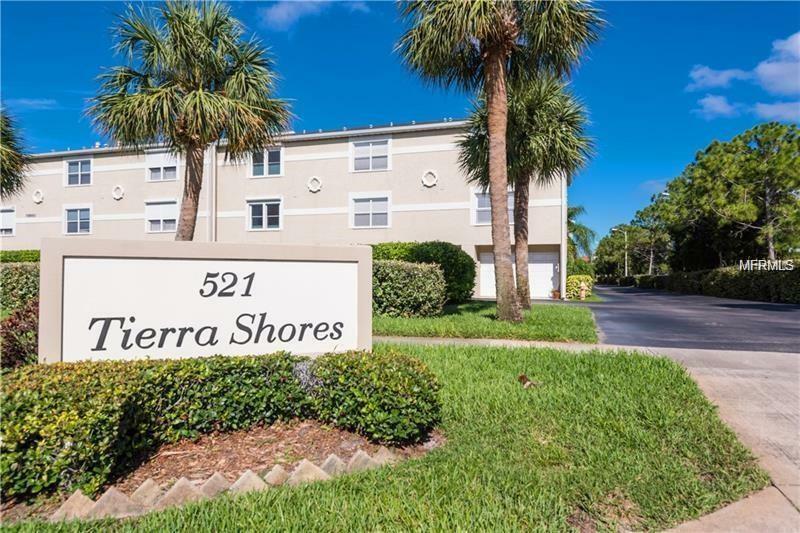 This quaint community is centrally located to the beaches, interstate access and just minutes from world famous Ft DeSoto Park & Beach. Pet Restrictions Up To 3 Pets Are Allowed. No Size/Weight Restrictions. Listing provided courtesy of Resort Realty.